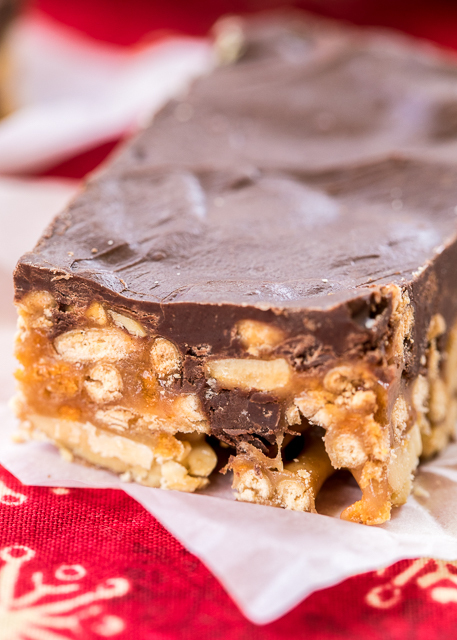 These Crunchy Peanut Butter Bars have all of my favorite things! Chow mein noodles, peanuts, butterfingers, peanut butter and chocolate. Sweet and salty in every bite!!! The best part about this recipe? It is NO-BAKE! Yasss!!!! 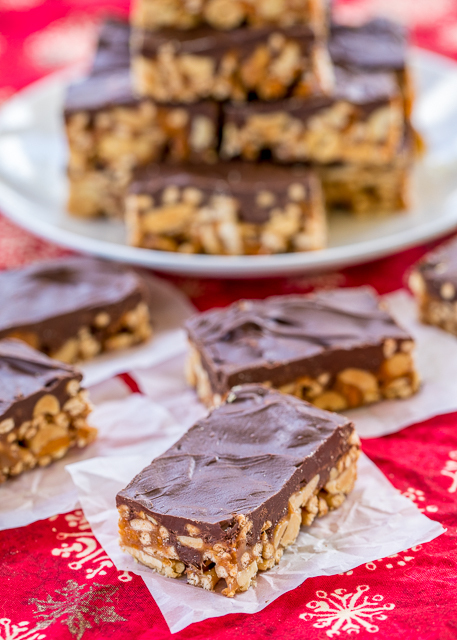 No-bake recipes, especially at the holidays, are always welcome in my kitchen. 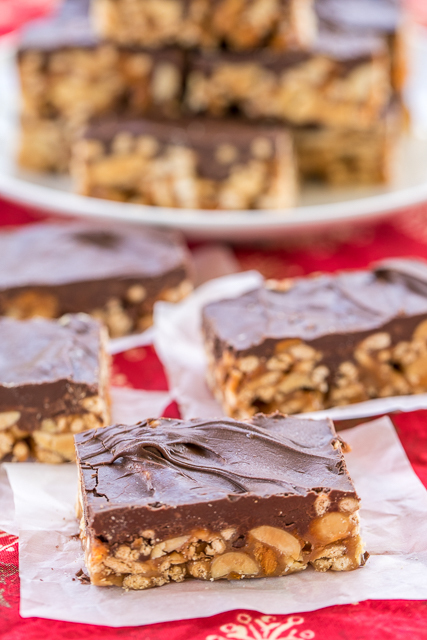 I took these Crunchy Peanut Butter Bars to a party and they were a HUGE hit! I didn't have any leftovers to take home. Dang it! LOL! 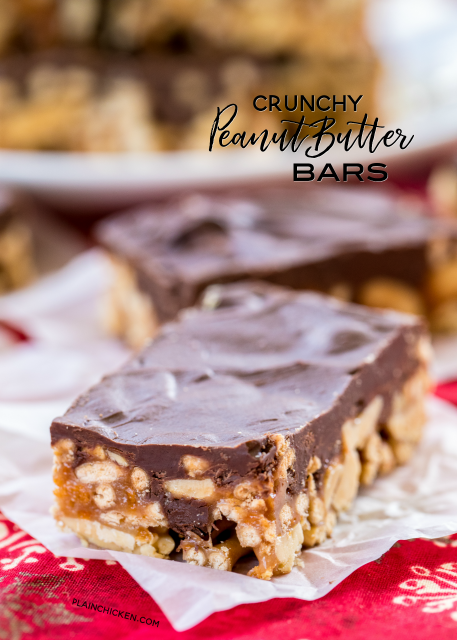 The Crunchy Peanut Butter Bars are a little rich, so you can cut them into small bars and get a lot of bang for your buck with this recipe. These would be great for any holiday cookie exchanges, holiday party dessert trays, homemade gifts or a little snack for Santa. Combine chow mein noodles, peanuts and Butterfinger bits in a large bowl. Set aside. Combine sugar and corn syrup in a saucepan. Cook over medium high heat, stirring constantly, until sugar dissolves, about 5 minutes. Remove from heat and stir in peanut butter. Pour peanut butter mixture over noodle mixture; stir until everything is well coated. Spread mixture into a greased 15x10x1 jellyroll pan. Melt chocolate chips and pour over noodle mixture. Let stand until chocolate is set, about 4 hours. Cut into bars.